We are wired to believe that the start of the New Year is the chance for a new beginning. That this new four-digit number we must write on the top right-hand corner of our checks will finally help us transform into the person we’ve always dreamed of becoming. New Year, New Me. For the whole of my adolescence and early twenties, the new beginning I so badly wanted was always the same thing. Every January 1, I told myself “This will be the year I lose the weight”. There was never a specific number I had in mind, even though the number on the scale varied widely depending on what year it was. It was always just “the weight”, and I believed I would never reach my full potential until it was gone. At the time, it seemed like every women’s magazine was trying to help me achieve this goal. There were pictures of women who were now half their size, their new bodies squeezed into one of the legs of an old pair of jeans. Articles were packed with advice on how to get rid of holiday weight, each one telling me to cut out something different (Carbs! Fat! Calories! Anything the cavemen couldn’t eat!) Some women swore on swapping sugar for spin class, others claimed you could change your life just by walking around the block each night. Somehow everything and nothing seemed to work, all at the same time. Don’t worry, this is not one of those weight loss stories. I eventually found a healthy and safe way to get in shape after I focused on changing my lifestyle instead of quick fixes. 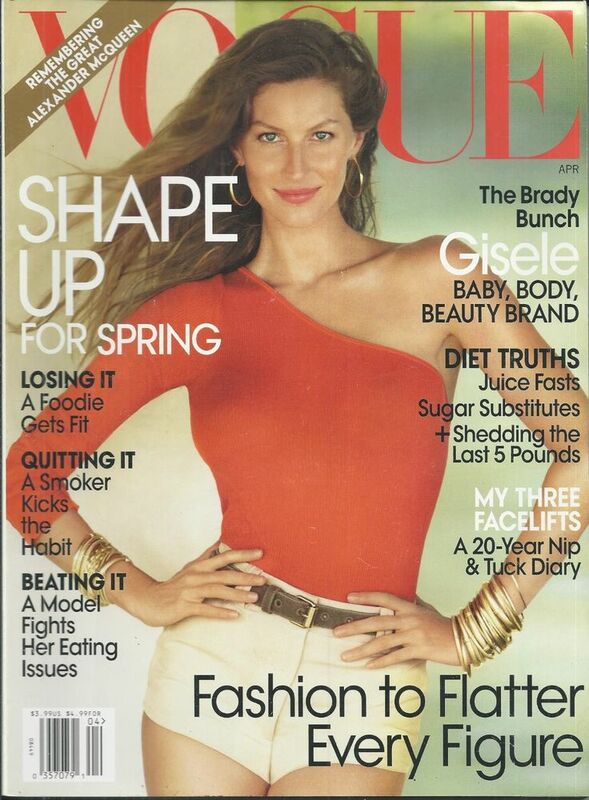 But I assumed the world of diet fads and post-holiday cleanses was still spinning strong, and that most women’s publications continued to revolve around them every January and February. So I was struck one December day when I came across this post on Instagram from Gabrielle Korn, the editor-in-chief of NYLON. It was a proclamation that felt almost revolutionary from the editor-in-chief of a women’s publication, one I never would have imagined seeing during my adolescent days. 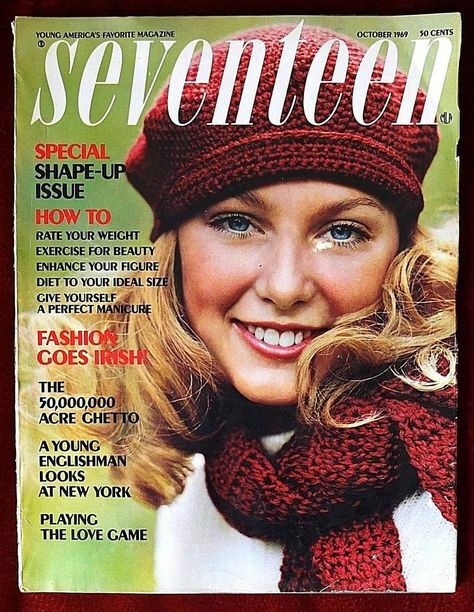 While teen magazines like Seventeen were leaders when it came to carrying fashion spreads for different body types in the early 2000s, I didn’t realize how normalized I had become to reading stories about diet and weight loss in women’s magazines. Seeing Korn’s post felt like a breath of fresh air. I reached out to Korn to learn more about her own experience with women’s magazines and heard a story I knew all too well: The young girl who both fell in love with the world of fashion, and at the same time felt she would never really be welcomed into it. Fast-forward a decade and Korn is now not only in charge of a major lifestyle publication, she is also using it to create a space for women of any color, shape, or sexual orientation – a space that she didn’t feel like she had while flipping through those glossy pages during her middle school days. And that included making sure NYLON’s fashion and beauty sections celebrated women’s bodies, clothes, and products in a way that didn’t feel exclusive or aspirational. “I think that women’s magazines used to approach beauty as a problem to be solved, and that reading the magazine and buying the product they were recommending was the solution,” Korn said. Another thing that Korn brought to NYLON was “Wellness”, which is now listed right next to “Skincare”, “Makeup”, and “Hair” in the beauty section. Take a look at NYLON’s site (it became a digital-only publication in 2017), and you will see cover girls like Jameela Jamil, the Good Place star who has made it her mission to fight against celebrities promoting skinny teas and diet lollipops on their Instagram pages. There are articles on why self-care routines shouldn’t be shamed, what it’s like to start working out after battling an eating disorder, and why one writer won’t go vegan for Beyoncé. Inspired by Korn’s Instagram post and NYLON’s content, I went out and bought the January and February issues for Allure, Cosmopolitan, and Vogue. And I was shocked to find that there wasn’t a single weight loss, anti-aging, or diet article in sight. “Wellness” had actually made its way to print as well. Cosmopolitan has a “Wellness” section of its own now, while Allure has a health and wellness editor. And all three magazines had a number of articles that discussed mental health and natural beauty. There were interviews from women who had learned to love their acne scars, a beauty editor discussing why she regretted getting her pubic hair lasered off in her early twenties, and Allure editor-in-chief Michelle Lee opening up about her struggles with postpartum depression, among many other examples. I was even more surprised to find that each of these issues also featured articles that tackled the newfound pressure that has come from this burgeoning Wellness culture. Vogue explored one woman’s battle with Orthorexia, an obsession with healthy food that continues to rise as our Instagram pages become filled with more #cleaneating (43,373,123 posts at the time of this article, to be exact). Cosmopolitan explored whether the increase of “body positivity influencers” were actually changing women’s opinions about their own bodies, and one feature in Allure found that the rise of “love yourself” messaging in our media hasn’t made women any less likely to go under the knife. Rome wasn’t built in a day, and centuries of socially-constructed beauty norms won’t be taken down in one either. But Korn believes that the digital sphere will help push positive change faster than ever before. And Wellness has been a great start. “Depression” was a word I once only saw on Zoloft commercials, and now it’s being candidly discussed between celebrity interviews and Gigi Hadid photoshoots. I never thought I would one day read about a girl who loves the acne scar on her nose so much that she dusts it with highlighter. And after many past Januarys spent logging my calories, swearing off bread, or giving up fruit (never again South Beach! ), not seeing words like “Keto”, “Paleo” or “Whole30” in the pages of my favorite magazines felt like a novelty.